Experience the thrill at Suncoast Casino, Hotels and Entertainment, Durban’s premier destination. With sun, sea, great food, ice-cold cocktails and plenty of entertainment, it’ll set your night on fire! 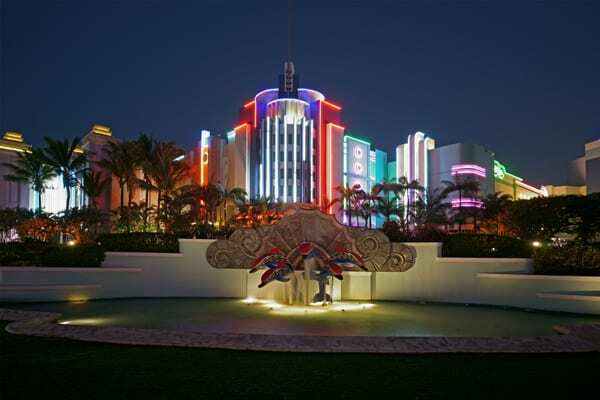 Combining American art deco, beachside fun and warm Durban hospitality, our 7,000m2 casino gaming haven has 1,600 state of the art coinless Slot machines and 67 Tables for you to choose from. The main floor is divided to accommodate both smokers and non-smokers while the Salon Privé has a private gaming room. Playing denominations range from 1c to R 100 and progressive jackpots provide opportunities to win big. Bars and food stations keep you refreshed whilst you court Lady Luck amidst the hottest casino action in Durban. Suncoast offers the perfect mix of thrilling entertainment, fantastic food and winning opportunities. For the more adventurous or experienced gamblers there are 67 gaming Tables offering Blackjack, Roulette, Poker and a private Baccarat area. Minimum and maximum bets vary for each, ranging from R 10. You are in for a truly authentic casino experience when you play the Tables at Suncoast in Durban. Be sure to try the Big Bang Mystery Progressive found on the Blackjack and linked to the Baccarat and 3 of our raise em Poker Poker Tables. Sports enthusiasts find refuge in the Casino Lounge Bar, where the large screen TV offers almost-as-good-as-being-there action. If that’s not your scene, there are two other bars and a snack cafe to satisfy your stomach and taste buds. There are 8 ATM’s in the ATM mall and more on the Promenade. From take-out to fine dining, Suncoast has a variety of restaurants and fast food options to choose from. Whatever you feel like, we have something to tempt your tastebuds and satisfy your hunger. Make your choice from the Tsogo Sun hotels in and around Suncoast including Suncoast Towers and SunSquare Suncoast. Each hotel has a character of their own: opulent, contemporary, eclectic. Experience them for yourself and make your reservation today at some of Durban’s best hotels.